I read this article and found it very interesting, thought it might be something for you. The article is called Heavy rainfall sees vegetables price touch skyrocket in Delhi and is located at http://www.panasiabiz.com/9471/heavy-rainfall-sees-vegetables-price-touch-skyrocket-delhi/. The heavy to moderate rainfall has been a blessing for many in the Capital, but it has increased the price of vegetables. The consumers in the City are complaining about the price which does not seem to come down in the month of August. It’s been reported that the prices in the wholesale markets are at a rise of 20-30% and it will remain the same in the coming 15-20 days. 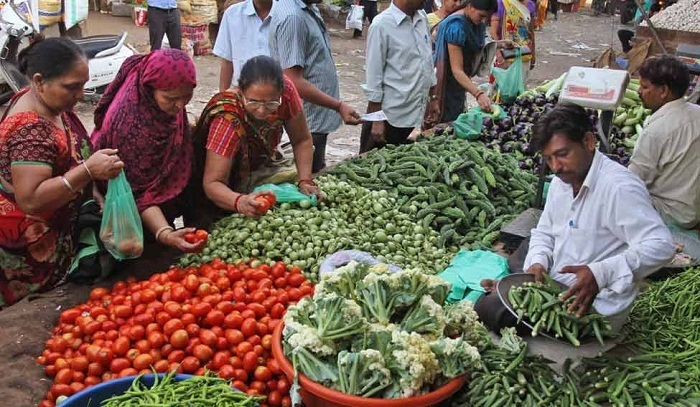 If one looks at the cost of vegetables Ladyfinger which is sold for Rs 28 per Kg in the wholesale market is sold for Rs 80 per kg in the retail market. The same is the case with beans which are as high as 31-35 per kg in the wholesale market is sold in the retail market for Rs 120. For vegetables like Cauliflower which has seen a decline in its rate from the previous month it is available in the wholesale market for Rs 24 per kg but in the retail market, it is sold for Rs 120-160 per kg. Even though retailers are claiming that there are also vegetables in the market which has seen fall in its price. But for the buyers, there have been hardly any difference in the price of the vegetable. It is a known fact that the prices of vegetable touch north during the monsoon season. But in comparison to last many years, this year vegetable price has touched the sky. One other grievance that the consumer felt was that even for under quality fruit and vegetables they have to pay a higher price. One other reason behind the shortage of vegetables and fruits in the market is the flooding of the Yamuna which has destroyed nearby agricultural areas. But for consumers, there is no happy picture in the future as wholesalers have said that the prices will remain high and may increase more in the coming time. The weather department has predicted that Delhi will witness more rain in this month. If that was not all, it’s a known fact that vegetables start rotting when they get wet which only add more problem to the consumers. One other reason behind the increase in the price is that since most of the area in Delhi remains waterlogged it becomes near to impossible for trucks to supply vegetables on daily basis. While for some heavy rainfalls comes as good news but for many it will be the month of substantial expenses.